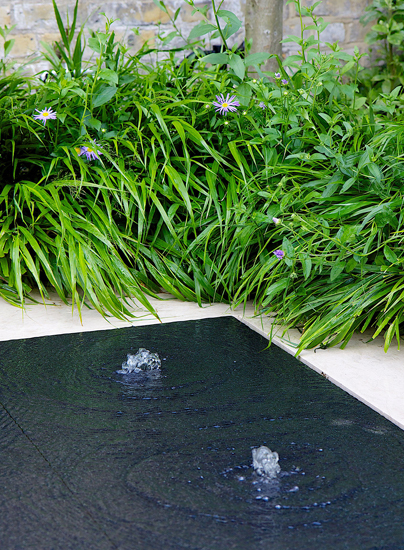 We love to include water in our designs, whether in the form of fountains, ponds, pools or cascades. We use many different materials for constructing these features, and experience has shown which ones respond best to long exposure. 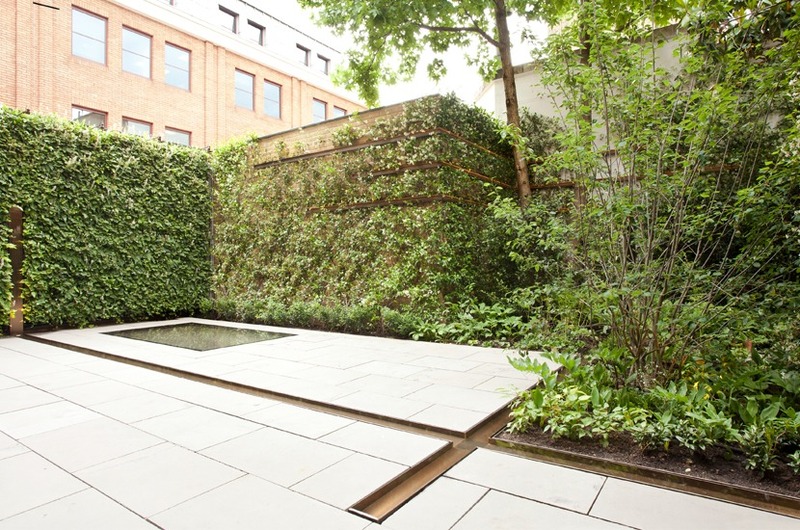 We have also experimented with acoustics, so that many of our gardens resound with the soothing and inspiring sound of running water. Water is often seen as a symbol of life, an idea that has particular resonance in a garden, where nothing can grow without it. 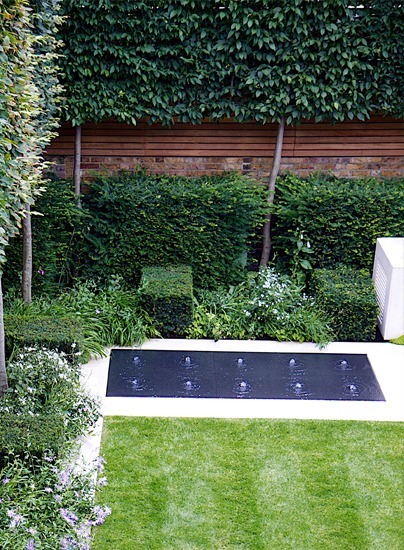 We may install a modern irrigation system for your convenience, but the addition of a sparkling cascade or a still pool is a wonderful reminder of the natural processes and landscapes that inspire all of our work. At Ilchester Place a pool interrupts the symmetry of the pale paving slabs. 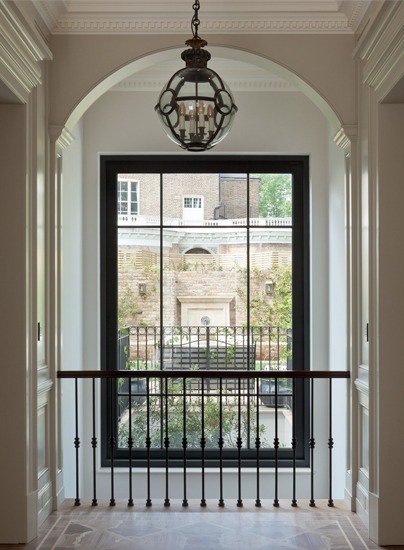 This creates a striking contrast between the black granite we have used for the pool and the pale sandstone slabs surrounding it. Ripples extend in perfect circles from each water jet, ruffling the surface of the pool and filling the garden with sparkling light and the gentle sounds of water on the move. 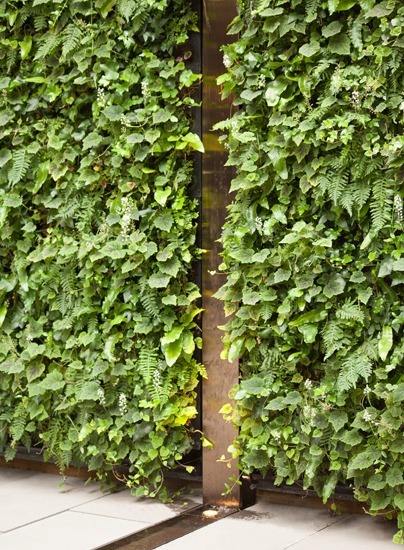 A golden rill flows vertically down the green wall of the garden in Chelsea. 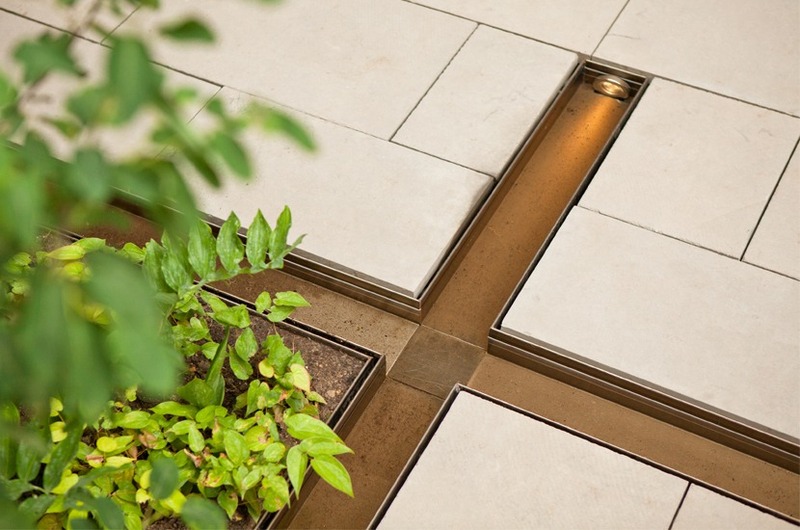 At ground level it divides into channels that create a gleaming link between vertical and horizontal, uniting the different planes of the garden. 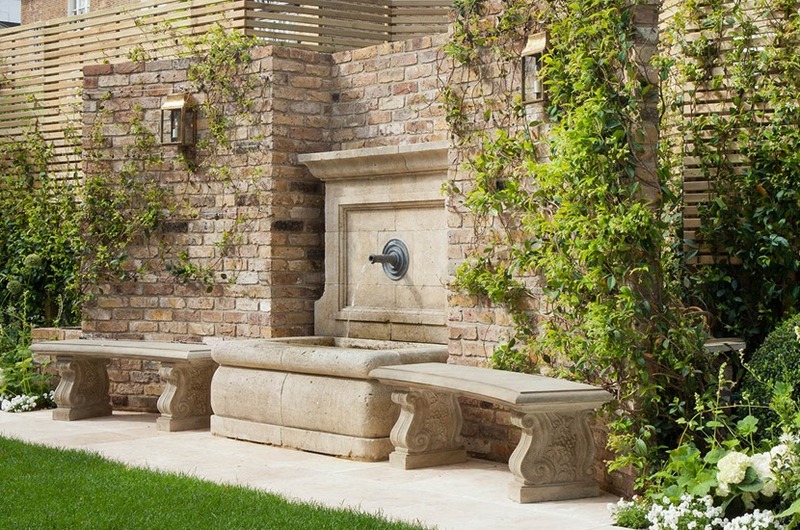 In Cresswell Place we have taken a more traditional approach with a wall fountain that would look at home in an Italian Renaissance garden. We have flanked this wonderful feature with sandstone benches, their legs carved in Classical Roman style.